A Contemporary Home in the Countryside. 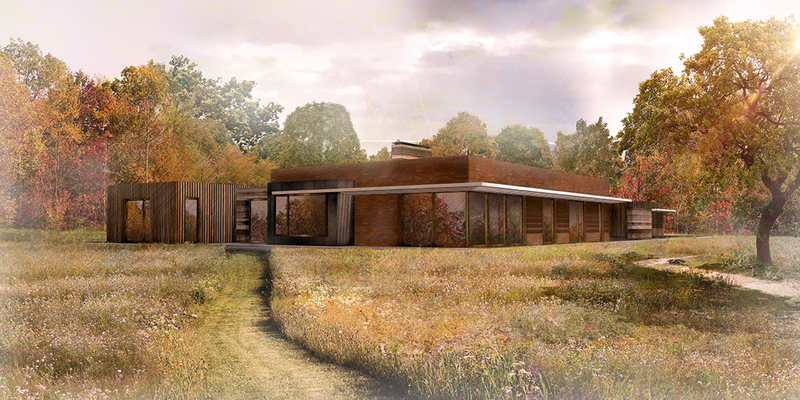 Our proposal is for a new, contemporary home in the countryside near Milton Keynes. The site is currently used as a paddock and to gain consent for a new home we would have to satisfy the requirements of the National Planning Policy Framework, in particular paragraph 79, which calls for the proposed new house to demonstrate: exceptional quality and outstanding or innovative design and be sensitive to the defining characteristics of the local area. Our clients requested a courtyard dwelling (with a garden protected from the local wildlife) and we extended this brief to a new home set around 2 courtyards. 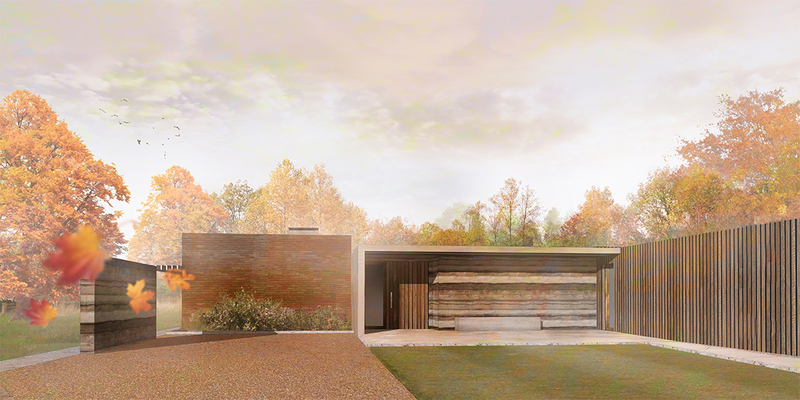 We are aiming to tread very lightly on the site with a single storey, pavilion inspired dwelling, where the building has been broken down into a number of smaller units and all of the built form is contained on a plinth raised slightly above the ground. Natural, local materials are proposed, most notably rammed earth walls, made using the local sand and yellow flints (Sharpstone) present on the site. Buckinghamshire has a rich history of brickmaking and the main living block is to be clad in bricks sourced from just 16 miles away. 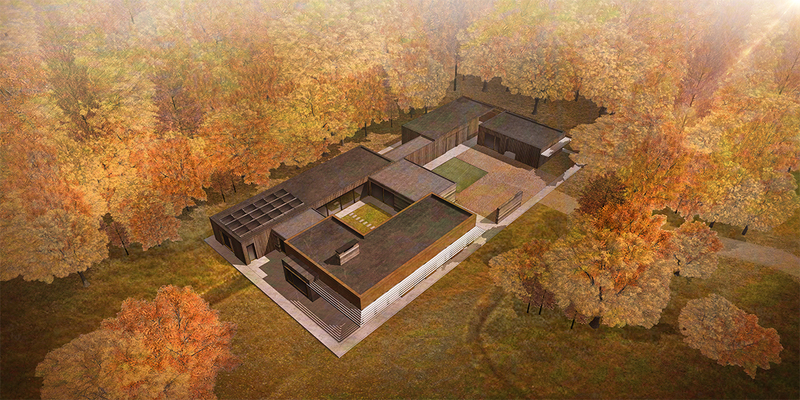 For those parts of the house that face the woodland, a timber finish is proposed. 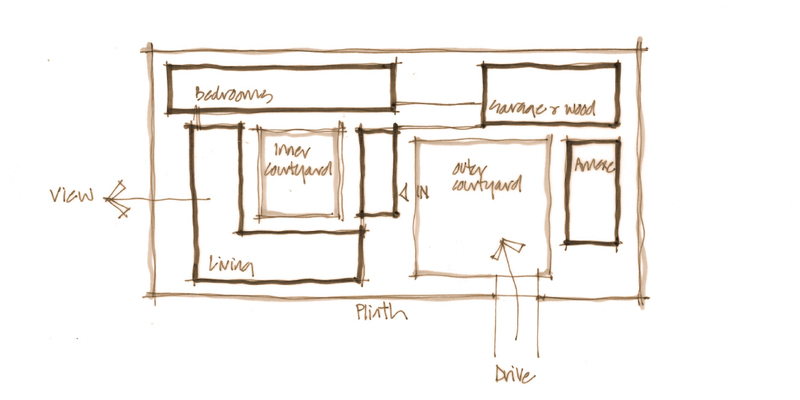 Importantly, the house has been designed to work with the characteristics of this particular site, for example: principal rooms face south to maximise natural light and solar gain in winter and the prevailing wind will allow us to introduce natural ventilation across the shallow rooms. The site also has an underground stream running through it which may be used for cooling in the summer also. The existing, adjacent woodland would be extended up to and around the house and in conjunction with a natural landscaping scheme, we would seek to provide a better environment for the abundant local ecology.